Hellermann Tyton heat shrink products combine the advantages of quick, easy installation with high electric strength, mechanical toughness and superior chemical and environmental resistance. Hellermann Tyton heatshrink moulded shapes offer important functional and cost saving benefits for electrical and electronic applications ranging from insulation and protection of individual components to fabrication of complete inter-connecting cable harness assemblies. Hellermann Tyton strain-relieving cable boots, transitions and connector backshell covers, as well as other specialised heat shrink shapes are available in a wide range of sizes and options for cable harness applications. 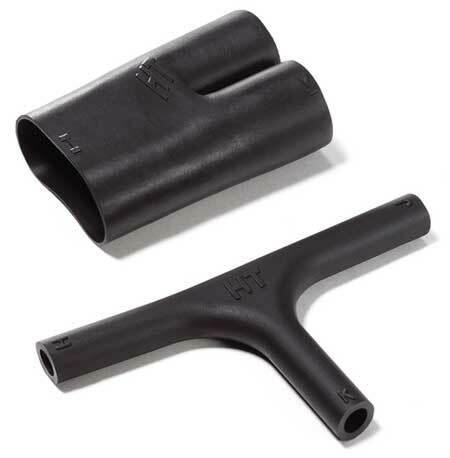 Hellermann Tyton's extensive product line of heatshrink moulded shapes includes low profile, bulbous and lipped types for use on circular and D-type connectors as well as complex multiway transitions. Hellermann Tyton manufacture a wide range of heat shrink moulded shapes available with an adhesive coating to form a watertight seal to protect cables, electrical and electronic equipment from corrosion and mechanical abuse. Heat shrink cable boots and breakouts are manufactured from a range of cross-linked materials exhibiting outstanding temperature, mechanical and chemical resistant performance. 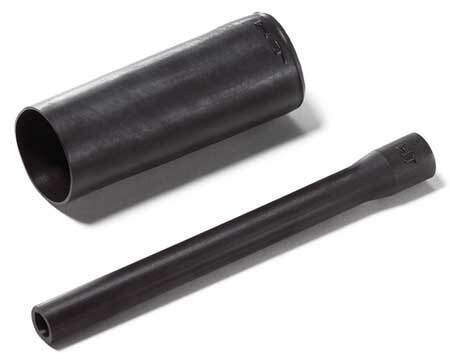 Heat shrink boots and breakouts are supplied in an expanded form and on the application of heat they shrink to a predetermined size and shape providing a tough protective covering for the components over which they are installed. The type of heat shrink shapes available from Hellermann Tyton include boots (straight and right angled boots) designed to be used directly onto connectors or back-shell adaptors to transitions (1 Way, 2 Way or 3 Way) for cable break-outs in cable harness systems. 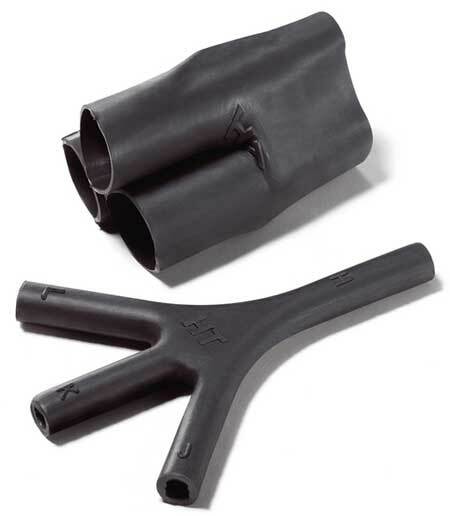 The use of Hellermann Tyton heatshrink moulded shapes (cable boots, cable breakouts, cable caps, connector backshell covers) in conjunction with specialist heatshrink tubing makes it easy to fabricate complete jacketed wire and cable harnessing and interconnection systems of the highest quality. Heatshrink moulded shapes are available for the complete range of electrical and electronic harnessing applications. Hellermann Tyton heat shrink products can be sealed with special adhesives and encapsulants to ensure the proper degree of mechanical support, strain relief and environmental protection. Contact T&D UK Sales for competitive price and delivery of Hellermann Tyton Heat Shrink Cable Caps, Cable Boots, Cable Breakouts and Cable Transitions.